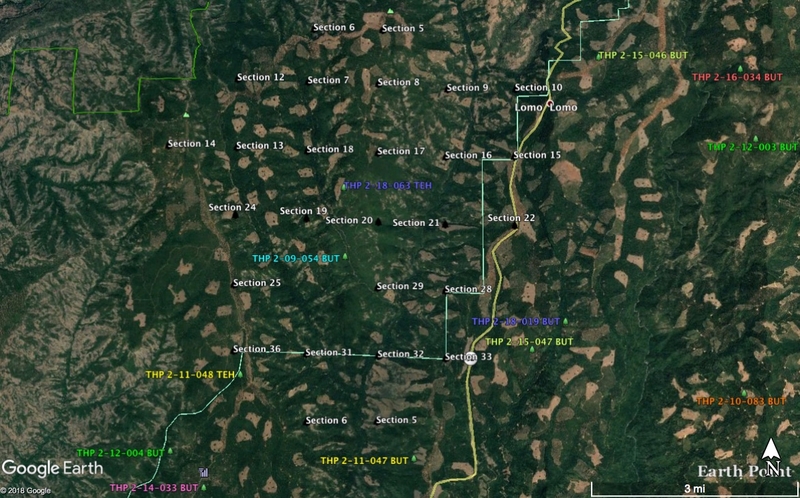 Green Diamond Resource Company to clearcut log on steep and unstable slopes along the CA/OR border. This THP is about 15 miles north of Crescent City, CA along the California/Oregon state line border at an elevation of 140 to 1,080 feet. Green Diamond Resource Company is planning a mostly clearcut tractor and cable logging operation on steep and unstable slopes in redwood, Douglas fir and western hemlock forests. There are 9 landslide terrain sites including; 1 deep seated landslide and 1 shallow rapid landslide terrain site in unit A, 1 shallow rapid landslide terrain site in unit B, 1 shallow rapid landslide terrain site in unit C, 2 shallow rapid landslide terrain sites in unit E, and 3 shallow rapid landslide terrain sites in unit F. Green Diamond Resource Company is planning to re-construct a seasonal road exceeding 15% to 20% grade for a distance of 500 feet or greater to access unit A, and construct a seasonal road exceeding 15% grade for a distance of 500 feet or greater to access unit F. 16 road drainage sites are planned for work including rocking, dip construction, ditch cleaning, culvert repair/replacement and restoration of washed out crossings. There is potential marbled murrelet habitat within .25 miles of the WI-1000 Road on Siskiyou National Forest and Oregon State lands. In 2008, Del Norte salamanders were spotted in or near units A, C, D, E and F, and in 2008, Del Norte salamanders were reported within the vicinity of units B, C, D, E and F. Southern torrent salamanders are known to occur in or adjacent to unit E, and within .5 miles of units B, C, D and F. There are 2 spotted owl nesting territories within 1.3 miles of the THP area. Mendocino Redwood Company To log out large tree marbled murrelet stands adjacent to Mendocino Headlands State Park. Photo By Save The Redwoods League. This THP is about 4 miles NE of Albion, CA and about 6 miles SE of Mendocino, CA near Mendocino Headlands State Park lands at an elevation of 40 to 960 feet. 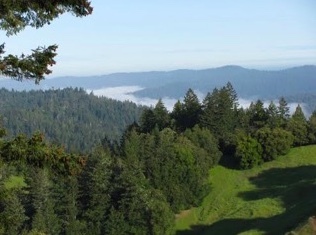 Mendocino Redwood Company is planning a tractor and cable logging operation on steep and unstable slopes in redwood, Douglas fir, grand fir and western hemlock forests. There are 54 landslide terrain sites in the THP area including; multiple debris slides, debris flows, debris slide slopes, earth flows, disrupted ground, steep inner gorges, rock slides and 17 road failure sites including; multiple fill slope and cut bank failures. 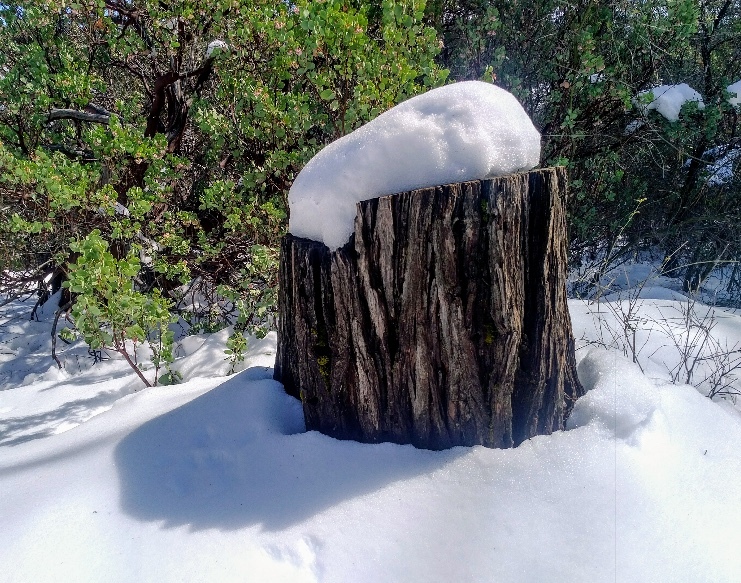 Mendocino Redwood Company is planning to log out 2 locations containing large tree marbled murrelet habitat, directly impacting 4 designated marbled murrelet stands (North Escola, West Escola, Escola Ridge and Escola) within the THP area. The THP area flows into the Albion River which is listed as an impaired watershed for sediment. Mendocino Redwood Company is planning to use ground based equipment in areas designated for cable logging in units 6 and 8, and use ground based equipment on 2 deep seated landslide terrain areas. 58 road drainage sites are planned for work including rocking, dip construction, ditch cleaning and culvert repair/replacement. In August 2017, a possible Sonoma tree vole nest was observed within the THP area, and in 2007, Oregon goldthread was reported along a haul road inside the THP area. There are 3 spotted owl nesting territories within 1.3 miles of the THP area. 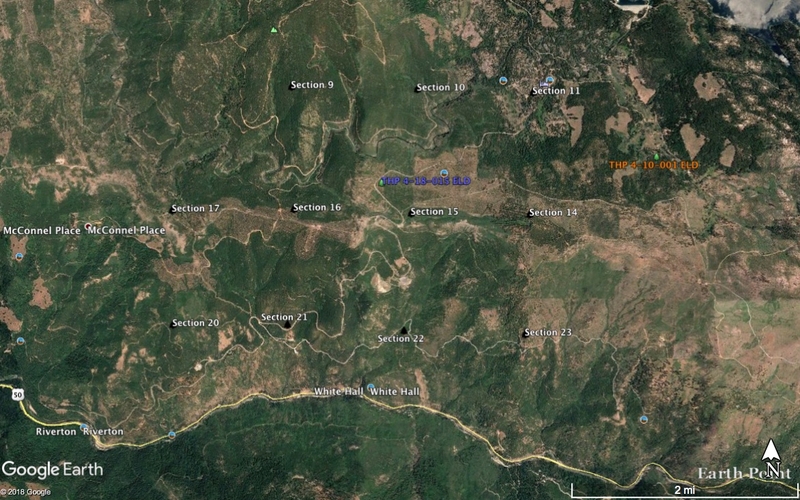 Sierra Pacific Industries to clearcut log trees up to 58” dbh north of Dorrington, CA. This THP is about 6 miles NE of Arnold, CA, 3 miles north of Dorrington, CA, and just north of Highway 4 at an elevation of 4,100 to 6,000 feet. Sierra Pacific Industries is planning a clearcut and fuel break tractor and cable logging operation on steep and unstable slopes in ponderosa pine, sugar pine, white fir and incense cedar forests. There are 6 unstable areas including multiple rotational slumps, dormant slips and broken uneven ground. SPI is planning to use 15 skid trails, roads and landings inside class I (year round), class II (mid sized) and class III (seasonal) watercourse areas. 89 road drainage sites are planned for work including rocking, dip construction, ditch cleaning and culvert repair/replacement. In 2015, a goshawk was reported in section 19, and in 2006, a goshawk was reported in section 18. Stebbin’s lomatium was found in unit 3551, scalloped moonwort was found near unit 3388, and Coleman’s piperia was found in unit 3559. There are 6 CA spotted owl nesting territories within 1.3 miles of the THP area in sections 1, 6, 19, 25, 26, 27, 31, 34 and 36. 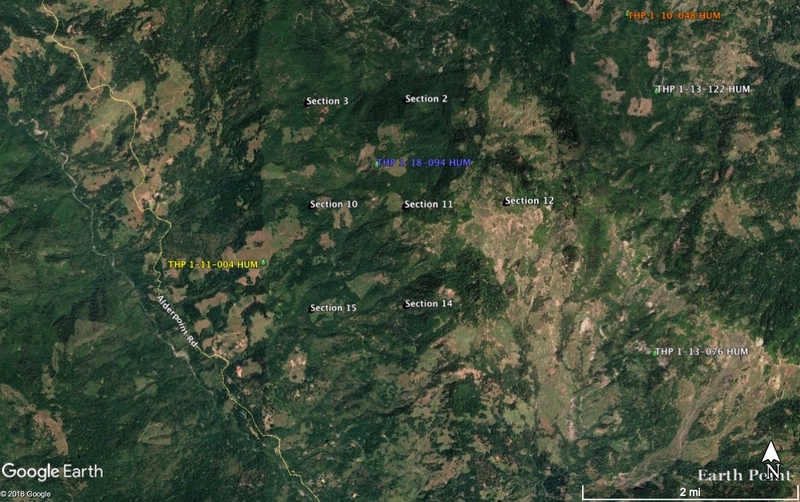 SPI planning a large clearcut THP near a roadless area and 8 sensitive plant species NE of Chico, CA. This THP is about 18 miles NE of Chico, CA, 9 miles north of Forest Ranch, CA, and just west of Highway 32 at an elevation of 2,200 to 4,000 feet. Sierra Pacific Industries is planning a mostly clearcut tractor based logging operation in ponderosa pine, sugar pine, Douglas fir, white fir, and incense cedar forests. The Polk Springs Roadless Area is adjacent to sections 5 and 6. SPI is planning to use 3 existing roads in or around watercourse areas including; the 130G Road adjacent to a class II (mid sized) watercourse area, the 130G12 Road adjacent to a class II (mid sized) watercourse area, and the 110H Road adjacent to a class I (year round) watercourse area. 216 road drainage sites are planned for work including rocking, dip construction, ditch cleaning and culvert repair/replacement. There is a goshawk occurrence within .50 miles of the THP area in section 22, and a foothill yellow legged frog was reported in section 12. 8 sensitive plant species were identified including; Clustered Mariposa lily in section 9, Shield bracted monkeflower in sections 7, 9, 19, Sanborn’s onion in sections 9, 19, 21, 28, 29, 33, Nightblooming false bindweed in sections 6, 7, 13, 18, 35, Slender Clarkia in section 25, Humboldt’s Lily in section 33, Hall’s Rupertia in sections 6, 7, 9, 13, 21, 25, 35, and Long fruit jewelflower in section 7. There are 7 CA spotted owl nesting territories within 1.3 miles of the THP area. 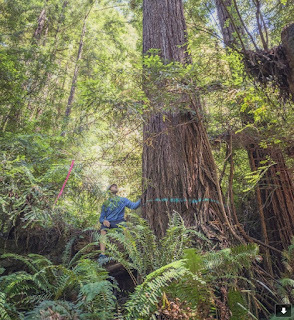 GUALALA - Sonoma County Superior Court once again has ruled in favor of Friends of Gualala River (FoGR) in its lawsuit against CAL FIRE’s approval of logging of coastal floodplain redwood forest in hundreds of acres of the Wild and Scenic Gualala River. 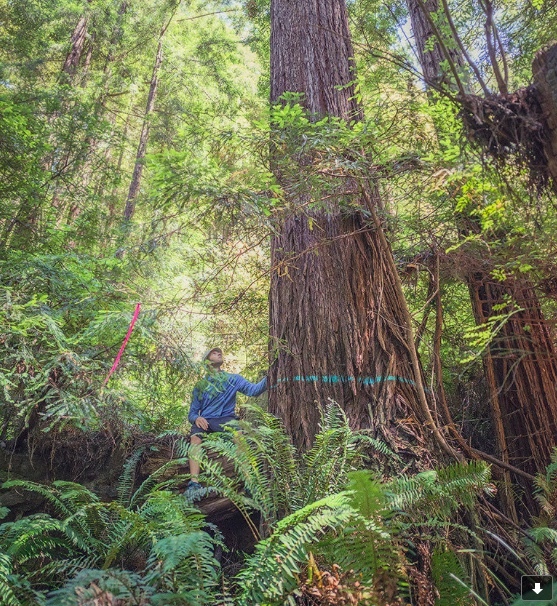 The controversial “Dogwood” timber harvest plan (THP) proposed by Gualala Redwoods Timber LLC has been opposed by public protests, petitions, and litigation since 2015. On October 16, 2018, Judge René Chouteau concluded that the second Dogwood THP failed to meet California Environmental Quality Act (CEQA) requirements for evaluating project alternatives with less environmental impact, and for assessing cumulative environmental impacts to the river, forest and floodplain, in addition to those from the Dogwood THP itself. 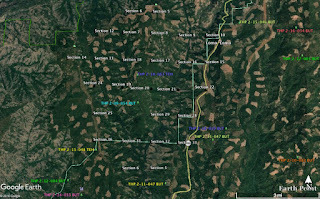 Sierra Pacific Industries planning a large fuel break THP east of Pollock Pines, CA. This THP is about 9 miles east of Pollock Pines, CA near Highway 50 and Ice House Reservoir at an elevation of 4,000 to 5,400 feet. Sierra Pacific Industries is planning 1,480 acres of fuel break tractor logging, some of it out to 3/4 mile from the nearest road in ponderosa pine, incense cedar, sugar pine and Douglas fir forests. There is a unstable area in section 20, and an unstable area in section 22. 34 road drainage sites are planned for work including rocking, dip construction, ditch cleaning and culvert repair/replacement. Pleasant valley mariposa lily was found in sections 21 and 22, Sierra clarkia was found in sections 15, 16 and 21, and Yellow bur navarretia was found in section 21. There are 3 CA spotted owl nesting territories within 1.3 miles of the THP area. 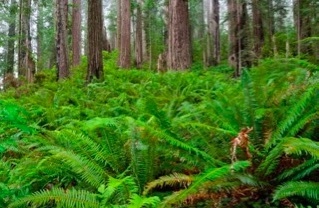 Green Diamond Resource Company to clearcut log east of Prairie Creek Redwoods State Park. This THP is about 6 miles SE of Klamath, CA, and just east of Redwood National Park and Highway 101 at an elevation of 200 to 1,500 feet. Green Diamond Resource Company is planning a mostly clearcut tractor and cable logging operation on steep and unstable slopes in redwood, Douglas fir and western hemlock forests. There are 10 landslide terrain sites in the THP area including; 3 unstable areas in unit A, 1 unstable area in unit D, 1 unstable area in unit E, 1 unstable area in unit F, 1 unstable area in unit G, 2 unstable areas in unit H, and a headwall swale in unit I. The THP area flows into the Lower Klamath River which is listed as an impaired watershed for sediment, temperature, nutrients and dissolved oxygen. 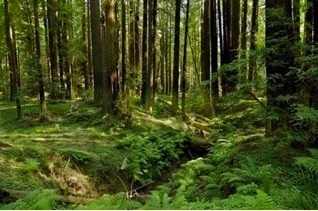 Marbled murrelet habitat is located inside Prairie Creek Redwoods State Park lands within .25 miles of the S Line Road. In 1994, a red tree vole was spotted inside unit F, coastal tailed frogs are known to occur immediately adjacent to units A and C, and southern torrent salamanders are known to occur immediately adjacent to units C and I. There are 2 spotted owl nesting territories within 1.3 miles of the THP area. 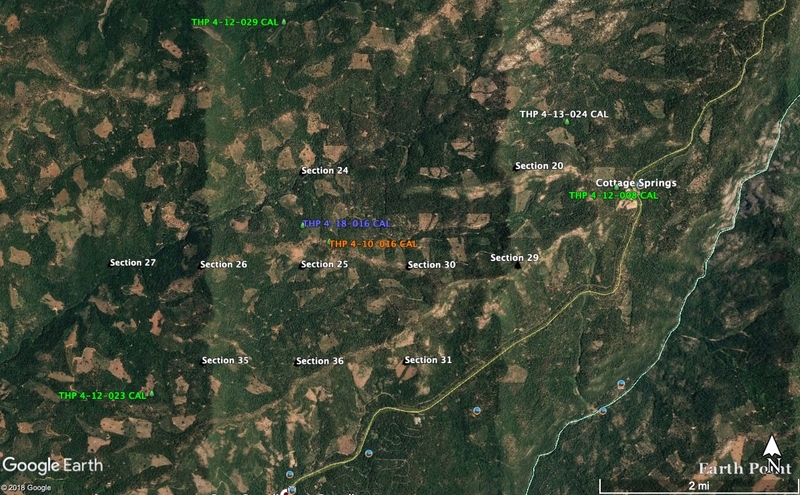 Mendocino Redwood Company to log on steep and unstable slopes SW of Willits, CA. This THP is about 15 miles SE of Mendocino, CA and about 11 miles SW of Willits, CA, near Comptche, CA at an elevation of 320 to 1,240 feet. Mendocino Redwood Company is planning a tractor and cable logging operation on steep and unstable slopes in redwood and Douglas fir forests. There are 82 landslide terrain sites in the THP area including; numerous debris slides, debris flows, earth flows, rockslides, steep inner gorges, disrupted ground, and steep headwall swales, and several road failure sites including a washed out road, multiple fill failures and cut bank failures. The THP area flows into the Big River which is listed as an impaired watershed for sediment and temperature. Mendocino Redwood Company is planning to use ground based equipment on existing skid trails in areas designated for cable logging, construct 450 feet of seasonal road on slopes exceeding 65%, and construct a road above an unstable area. 61 road drainage sites are planned for work including rocking, dip construction, ditch cleaning, culvert repair/replacement and restoration of washed out crossings. White flowered rein orchid was spotted within a harvest unit in section 14, and within 100 feet of a harvest unit in section 12. There are 4 spotted owl nesting territories within .7 miles of the THP area. 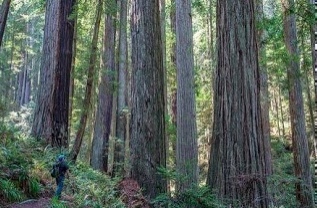 Humboldt Redwood Company to log on steep and unstable slopes SE of Eureka, CA. This THP is about 7 miles SE of Eureka, CA and Highway 101 at an elevation of 610 to 1,520 feet. Humboldt Redwood Company is planning a cable logging operation on steep and unstable slopes in redwood, Douglas fir and grand fir forests. There are 31 landslide terrain sites including multiple debris slides, earth flows, steep headwall swales, and cut bank failures. The THP area flows into Freshwater Creek which is listed as an impaired watershed for sediment and siltation. Humboldt Redwood Company is planning to use ground based equipment in areas designated for cable logging inside unit 1. There are several osprey nests along haul roads in the THP area, and 4 spotted owl nesting territories within 1.3 miles of the THP area. 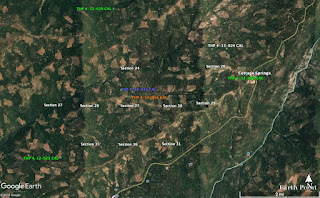 Green Diamond Resource Company to clearcut log north of Klamath, CA. This THP is about 7 miles north of Klamath, CA and about 3 miles east of highway 101 and Redwood National Park at an elevation of 400 to 1,640 feet. 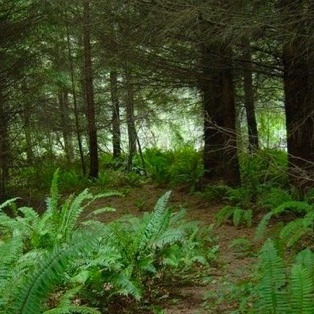 Green Diamond Resource Company is planning a mostly clearcut tractor and cable logging operation on steep and unstable slopes in redwood, Douglas fir and western hemlock forests. There are a few shallow rapid landslides in units B and D, and a road with a sunken grade. The THP area flows into the Lower Klamath River which is listed as an impaired watershed for sediment, temperature, nutrients and dissolved oxygen. 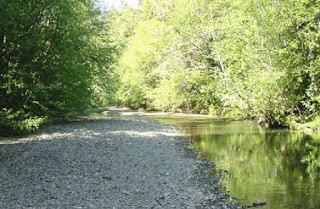 Green Diamond Resource Company is planning to construct 175 feet of road within 150 feet of a class I (year round) watercourse (Hunter Creek). Six road drainage sites are planned for work including rocking, dip construction, ditch cleaning, culvert repair/replacement and restoration of washed out crossings. There is a marbled murrelet stand within .25 miles of the W10 and H200 Roads, and an historic osprey nest and active osprey nest within .25 miles of the W10 Road. Coastal tailed frogs were reported 1,000 feet west of unit B, and southern torrent salamanders were reported 1 mile SE of unit E. There are spotted owl nesting territories within .5 miles of units B, D and E.
Humboldt Redwood Company planning a second THP that logs inside large tree marbled murrelet stands near the BLM Headwaters Forest Reserve. This THP is about 4 miles NE of Fortuna, CA, just east of the BLM Headwaters Forest Reserve at an elevation of 400 to 1,400 feet. Humboldt Redwood Company is planning a tractor and cable logging operation on steep and unstable slopes in redwood, Douglas fir and grand fir forests. Logging is proposed inside large tree marbled murrelet stand 399D within unit 1, and also adjacent to an occupied large tree marbled murrelet stand 680E within unit 2. The THP area flows into the Elk River which is listed as an impaired watershed for sediment and temperature. There are 38 landslide terrain sites including multiple earth flows, disrupted ground, and debris slides, and 7 road related failure sites including multiple fill failures, cut bank failures and sink holes. 19 road drainage sites are planned for work including rocking, dip construction, ditch cleaning, culvert repair/replacement and restoration of washed out crossings. Foothill yellow legged frogs have been spotted within the THP area, and there are 9 spotted owl nesting territories within 1.3 miles of the THP area. 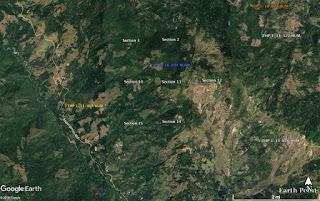 This THP is just east of Humboldt Redwood Company’s recently proposed Holy Diver THP 1-18-031 HUM (See Humboldt Redwood Company to log trees up to 40” dbh adjacent to the BLM Headwaters Forest Reserve). 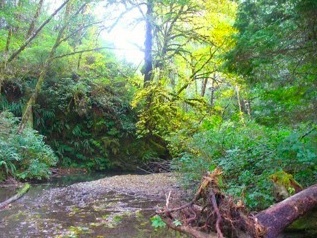 Gualala Redwood Timber to target individual trees growing in the alluvial flats of the Little North Fork of the Gualala River. This THP is a few miles NE of Gualala, CA and Highway 1 along the Mendocino coastline at an elevation of 40 to 440 feet. Gualala Redwood Timber is planning a tractor based logging operation in redwood and Douglas fir forests amongst the alluvial flats of the Little North Fork of the Gualala River (the THP units are located in 90 to 100 year old forests mostly along river bottoms (alluvial flats) adjacent to the Little North Fork of the Gualala River, including a flood prone area in the southern portion of unit 1). The THP area flows into the Gualala River which is listed as an impaired watershed for sediment and temperature. Gualala Redwood Timber is planning to use an existing haul road system that enters class I (year round) and class II (mid sized) watercourse areas at 12 locations along the Little North Fork of the Gualala River, and use 2 landings near watercourse areas. 18 road drainage sites are planned for work including rocking, dip construction, ditch cleaning and culvert repair/replacement. CA red legged frogs were reported inside a ditch adjacent to the plan area and there are 2 spotted owl nesting territories within .7 miles of the THP area. 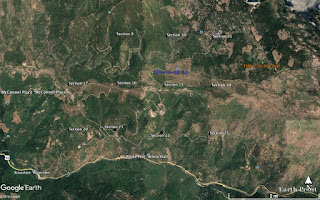 Sierra Pacific Industries to clearcut log trees over 48” dbh NE of Weott, CA. This THP is about 11 miles NE of Weott, CA and Highway 101, and about 3 miles south of Highway 36 at an elevation of 1,720 to 3,680 feet. Sierra Pacific Industries is planning a mostly clearcut tractor and cable logging operation on steep and unstable slopes in redwood and Douglas fir forests. 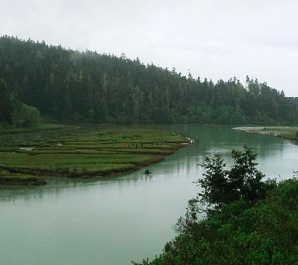 The THP area flows into the Van Duzen River which is listed as an impaired watershed for sediment/siltation, and into the Eel River which is listed as an impaired watershed for sediment and temperature. There is a small unstable area in unit 11G, a small unstable area in unit 11H, and several minor roadside slumps. SPI is planning to use ground based equipment in areas designated for cable logging, and construct roads and landings during the winter period. 29 road drainage sites are planned for work including rocking, dip construction, ditch cleaning and culvert repair/replacement. There are 3 spotted owl nesting territories within 1.3 miles of the THP area. Mendocino Redwood Company to log in marbled murrelet stands adjacent to Navarro River Redwoods State Park. This THP is about 3 miles north of Elk, CA and about 8 miles SE of Mendocino, CA by Highway 128 and Navarro River Redwoods State Park (units 6 and 9 are adjacent) at an elevation of 40 to 720 feet. Mendocino Redwood Company is planning a tractor, cable and helicopter logging operation on steep and unstable slopes in redwood and Douglas fir forests. The THP area flows into the Navarro River which is listed as an impaired watershed for temperature and sediment. Over 80 landslide terrain sites are located in the THP area including multiple: earth flows, debris flows, debris slides, debris slide slopes, disrupted ground, steep gullies, rock slides, fill slope and cut bank failures. Seven unstable road failure sites are located in the THP area including a seep causing a fill failure on temporary road, a bank seep at the base of a debris slide on a temporary road, multiple sink holes on existing roads, a fill slope failure below an existing road, and a road that has sunk 1 to 2 feet. Mendocino Redwood Company is planning to use an existing temporary road across an unstable area (earth flow), construct 350 feet of new road across an unstable area, and use an existing landing near an unstable area (earth flow). 33 road drainage sites are planned for work including rocking, dip construction, ditch cleaning, culvert repair/replacement and restoration of washed out crossings. 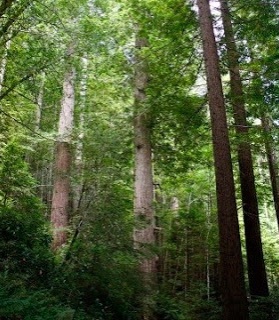 There is potential marbled murrelet habitat in the NE portion of section 11 within the THP area, and also on Navarro River Redwoods State Park lands. Mendocino pygmy cypress was found along the edge of a seasonal road, and long beard lichen was found adjacent to an open landing at the end of a spur road. There are 6 spotted owl nesting territories within .7 miles of the THP area. Sierra Pacific Industries to clearcut log SE of Placerville, CA near Jenkinson Lake. This THP is about 17 miles SE of Placerville, CA and about 4 miles south of Highway 50 near Jenkinson Lake, a popular fishing, boating, swimming, camping and hiking destination. Sierra Pacific Industries is planning a mostly clearcut tractor based logging operation in incense cedar, ponderosa pine, white fir, sugar pine, and Douglas fir forests at an elevation of 3,520 to 6,200 feet. There is a small unstable area (outside edge of a landing that has failed/eroded) in unit 230 within section 23. SPI is planning to use ground based equipment on slopes up to 50% grade for tractor pilling, use ground based equipment at a fill failure site within unit 230 for restoration work, and use an existing landing inside a class III (intermittent) watercourse area within unit FB6. Nine road drainage sites are planned for work including rocking, dip construction, ditch cleaning, culvert repair/replacement and restoration of washed out crossings. There are 8 northern goshawk territories (.4 mi to 1.5 mi from THP units), a bald eagle territory at Jenkinson Lake within .6 miles of THP units in section 9, and in 1996, a golden eagle was reported within 1.6 mi of THP units in section 36. Sierra Nevada yellow legged frogs were spotted in section 29 (.55 mi from THP units), section 11 (1 mi from THP units), and section 27 (1.4 mi from THP units), and Foothill yellow legged frogs were reported (1992 to 1999) at Camp Creek (.6 mi and .9 mi from THP units), and at Snow Creek (1.5 mi from THP units). Coleman’s piperia was found in units FB5, 200, 201, 220, 272 and 273, Sierra clarkia was found in units SE1, FB2, FB6, 190, 200, 201, 272, and 273, and Kellogg’s lewisia was found outside of THP units. There are 27 California spotted owl territories (.13 mi to 1.7 mi from THP units).